Germany should adopt a Swiss model of processing asylum applications, a German Professor of migration, Dietrich Thränhardt, recently said. So let's take a closer look at that assertion. In 2012, Switzerland introduced fast-track asylum procedures for applicants from certain countries. The changes meant that asylum applications from these nationals were to be processed within 48 hours of their initial interview. Rejected applicants were immediately returned. The countries of origin covered by the so-called "48-procedure" and "fast-track procedure" include Georgia and most of the countries of the Western Balkans, as well as Algeria, Gambia, Guinea, Morocco, Nigeria Senegal and Tunisia. After the fast-track system was introduced, there was a sharp drop in asylum applications from these countries of origin, and the numbers have remained low, according to the Swiss migration authority, the SEM. Some experts, including Professor Thränhardt, have concluded that the fast procedures have deterred migrants whose asylum applications are poorly justified, or who believe they are likely to be rejected, from applying in Switzerland because they don't get to stay there for long. In Germany, where there is no fast-track system, people can wait years for a final decision and so are able to delay their return - making Germany a more appealing destination, Thränhardt believes. 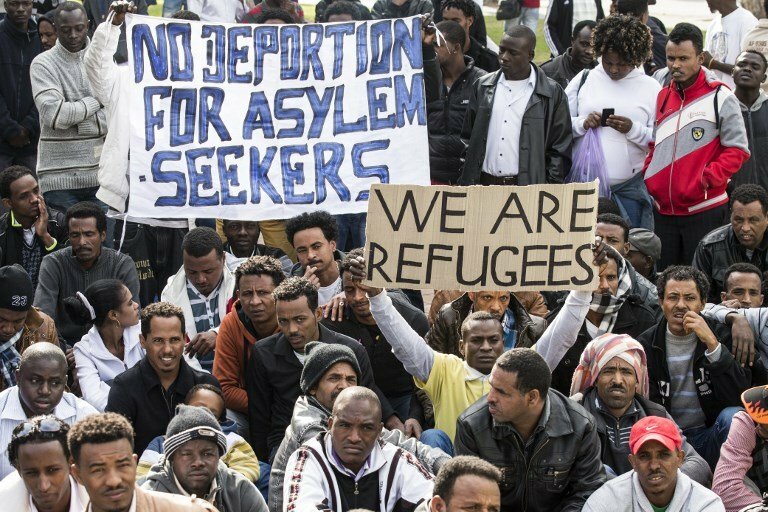 Switzerland can point to a drop in asylum applications and a higher proportion of positive decisions as a result of its fast-track reforms, however the Swiss system in general remains slow and inefficient, according to Lea Hungerbühler, who heads a group providing free legal aid to asylum seekers in Switzerland. Large-scale reforms aimed at significantly speeding up procedures are in the works. By next September, changes approved in a referendum in 2016 are intended to see 60 percent of all asylum applications decided within 140 days. More complex procedures for the remaining 40 percent are to take no longer than one year. The new law also provides for better legal support for asylum seekers and guarantees that each person has a lawyer throughout the process. The authorities say better legal representation will help asylum seekers to understand and accept decisions, thus ultimately achieving faster resolutions. The Swiss began piloting the reforms in early 2014 in Zürich and they say the results have been a success. However, Hungerbühler doubts the new system will be in full swing by March 2019, as infrastructure, including accommodation and lawyers, are still lacking. In the meantime, aside from the fast-track cases, which actually make up a small proportion, the so-called "priority 2" asylum procedures in Switzerland are still slow. "I have hardly ever heard of an asylum procedure which took less than 2 years, normally it is 2-3 years in our experience," says Hungerbühler. Official figures from the SEM confirm that at least some asylum seekers have a long wait for a determination: In the first half of 2018, regular asylum procedures (excluding accelerated cases) took an average of 562 days. Hungerbühler says the slow procedures are what deter migrants from coming to Switzerland - and not, as Thränhardt suggests, a fast and efficient system. 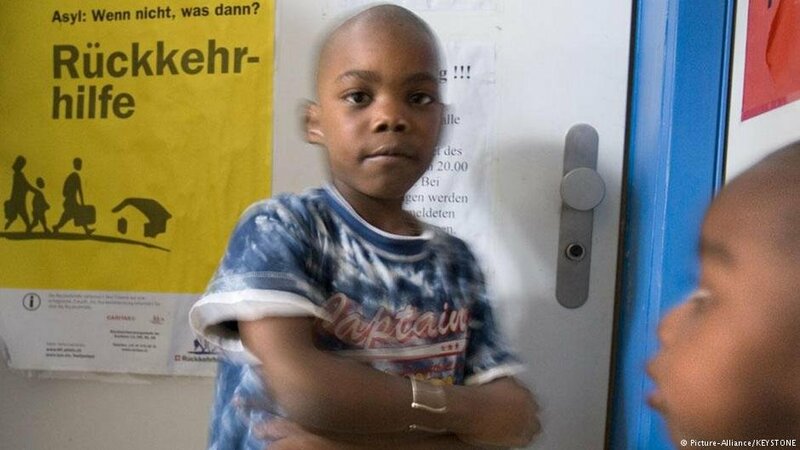 "The very long procedures, combined with the lack of working permit during the procedure, the restricted family reunification possibilities and the bad integration efforts in Switzerland, (such as) no free language courses during the asylum procedure, make people go to other countries," says Hungerbühler. Family reunification is especially difficult for asylum seekers who have been granted temporary residence in Switzerland. They have to wait at least three years before submitting an application to bring their spouse and children to the country. There are also other tough requirements, such as being financially independent and having accommodation big enough for the whole family. How many people are actually choosing to go to Switzerland to apply for asylum because the process is short, or long? Are asylum seekers making informed choices about destinations based on a knowledge of the asylum system in different European countries? It is impossible to know the answer. This idea of so-called "pull factors" is often used to explain asylum patterns, and can affect refugee policy based on the assumption that those who are making choices are not genuinely in need of protection. However, there is some evidence that the pull-factor argument is misguided. Two of the top groups applying for asylum in Switzerland are fleeing conflicts in Syria and Afghanistan. Research by the Refugee Council in the UK shows that most refugees escaping from war zones have little time to prepare their journey and say their highest priority is to reach a place of safety. They are less concerned about where that place of safety might be. The process starts with a verbal or written request for asylum either at the border or in a reception center in Switzerland. Applications from abroad are no longer allowed. Within a fortnight, the first interview takes place. After this interview, the asylum applicant is sent to a canton, one of the Swiss regions, and stays there for the duration of the procedure. Switzerland is a party to the Dublin regulations, so anyone who has already been registered in another European country is returned at this point in the process, unless they appeal within five days. Applicants then wait between one and two years, according to AsyLex, for the second interview and then up to one additional year before a decision is made. During this period, asylum seekers have an N-permit, which gives them restricted rights to employment "if permitted by the canton." There are three possible outcomes of a decision: B (refugee status), F (temporary protection) or negative, which means you have to leave the country. Switzerland registered 18,088 asylum seekers in 2017. Most asylum seekers originated from Eritrea, Syria and Afghanistan. The recognition rate (including temporary admission) during 2017 was 76.7% overall, with higher rates for nationals from Syria (96.4%) and Afghanistan (91.5%). The rates of rejection in 2017 were highest among asylum seekers from Georgia (84.1%), Guinea (76.2%), and Nigeria (73.5%).